Ever wonder how you can safely clean your self healing cutting mats? Three Years ago my Husband purchased two giant cutting mats for my cutting table, they are a great yellow color and have traveled through all stages of my studio morphing. I have used them for all of my sewing/quilting/ crafting work and after three years they were a real mess. I have cleaned them as recommended by the manufacturer and that helped but nothing took off the stazon inks, glimmer mists stains and other various dirt and ink stains. 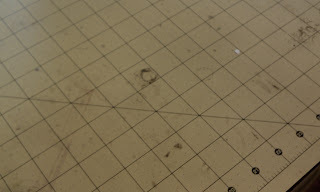 I do try to be very careful and neat with my stuff, one of my however, cats just does not get staying off my ink pads!! 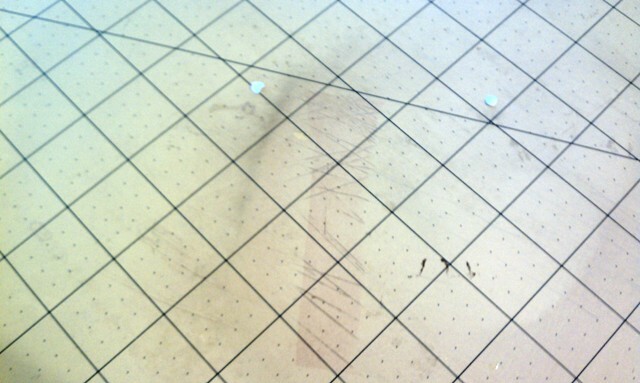 I actually like the prints wandering off the mat, but the rest just looked dirty. Earlier in the week I tried my Stampin Up adhesive remover to take of old glue bits and that worked great! Nothing else got those glue off and I tried everything! This looks just like one of those erasers we used to use in art class back in the 70's. This is just a simple 2x2x.5 rubber piece, I think it sell for 2.95, but it not only takes the adhesives of my mats, more importantly it takes glops and some of those bits of glue that squish out between the layers of my cards!! They really look pretty crappy, especially since I have about 25 square feet of them on my workbench tops! I know these pictures aren't very good, but I think you can get an idea of how much they are improved! 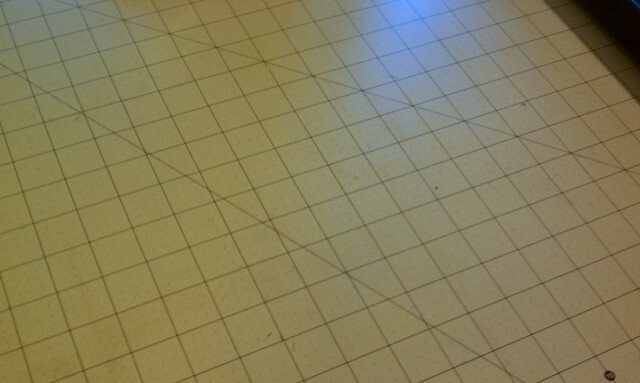 To help keep the mats in good shape I wiped them with a thin coat of glycerin and water. they felt smooth as new! 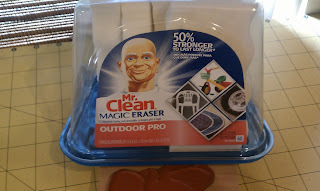 This is the great product I used to clean them with: Home Depot, $4.99 and I only used on eraser out of the package of 7! I thought of this only because I used to use these to clean my vintage sewing machines, you wet the sponge, squeeze out excess water and just rub on the area you wish to clean. They never damaged the old paint job, just remvoed nicotine, grime and grease. 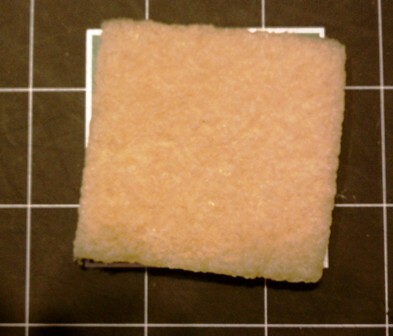 I also tried it on my burnerless stove, andf that helped with a few spots I was having a hard time removing. So all in all for less than a dollar I was able to clean and restore the mats I paid about 80.00 for. I think that is a good deal! This is the culprit that likes to walk through the open ink pads! Thanks for stopping by! Next: samples for my SU work shops! Never mind, Ginny, it came up when I revisited!